One thing is clear. This fall, I won't have to go into withdrawal from my serious addiction to books about World War II and the Cold War. In addition to several very serious non-fiction books that I won't talk about (Peter Longerich's almost 1000-page biography of Joseph Goebbels, for example), there are quite a few others that Read Me Deadly regulars might find interesting––and you won't break a toe if you drop them on your foot. 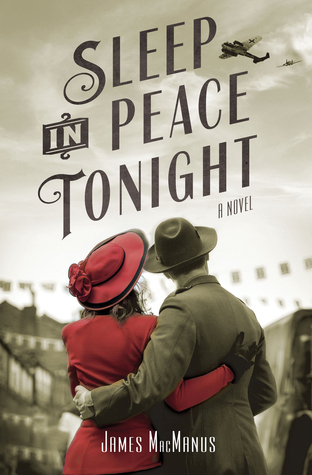 In Sleep in Peace Tonight (Thomas Dunne/Macmillan, October 7), James MacManus looks at America's isolationist period from a slightly different angle. It's January 1941 in this novel, almost a full year before the Pearl Harbor attack catapulted the US into World War II. President Franklin Delano Roosevelt knows that America's entry into the war is all but inevitable, but he is forced to kowtow to the isolationists, in part to maintain enough support for his New Deal economic policies. FDR's closest advisor, Harry Hopkins, is the protagonist of this novel. He's FDR's envoy, visiting the UK to observe conditions and see whether Britain can survive without US intervention. Hopkins reaches London during an air raid, and famed broadcaster Edward R. Murrow tells him the fun hasn't really started, because the heavy bombers don't generally arrive until around midnight. Hopkins finds himself drawn in by the tractor beam of Churchill's powerful personality, and sympathizes with the British people suffering under the Blitz. Hopkins is also influenced by a romance with his driver, a young woman who, unbeknownst to him, is a member of Britain's Special Operations Executive and is working to make sure the British government knows what Hopkins is advising FDR. There is an entertaining brief video preview of the book here. I devour stories of civilians' lives during World War II, so I have added Sigrid MacRae's A World Elsewhere: An American Woman in Wartime Germany (Viking Adult, September 4) to my wish list. Author MacRae bases this story of her mother's life from letters and diaries given to her by her mother, Aimée. In Paris in the 1920s, while on a world tour, Aimée, a young woman from a wealthy Connecticut family, fell in love with an impoverished Russian baron. Heinrich's family had been driven out of Russia by the Bolsheviks and now lived on a farm north of Berlin. After a whirlwind courtship, Aimée and Heinrich married and moved to the farm. The Depression, which hit Germany particularly hard, ruined the family. Heinrich joined the German army once the war began, and was killed on the Russian front, leaving Aimée with six young children and feeling stranded in Nazi Germany. Astonishingly, Aimée decided to take her children and escape the country to return home to America, even though her leaving was strictly forbidden by the Nazi government. Shades of the von Trapp family! 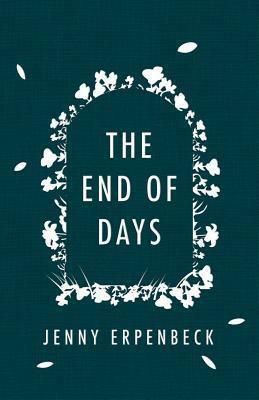 Kate Atkinson's Life After Life is one of my all-time favorite books, and Jenny Erpenbeck's The End of Days (translated from the German by Susan Bernofsky; New Directions, November 11) picks up on the same theme, the turns life (and death) can take, depending on tiny contingencies of fate. As with Ursula Todd in Life After Life, Erpenbeck's female protagonist dies at birth––or does she? In the next chapter she survives, but her life is cut short from a different calamity later on. Each time she dies, an alternative to her death is provided and her story goes on. Erpenbeck uses the novel as both a contemplation of fate, and a trip through some of the most harrowing times in 20th-century Austria, Germany and the Soviet Union. It definitely looks grimmer than Life After Life, but more than suitable for its time and place(s). 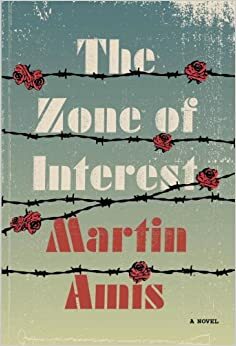 Speaking of grimness, it appears that Martin Amis's The Zone of Interest (Knopf, September 30) will be wallowing in it. Publishers Weekly calls it "[a]n absolute soul-crusher of a book," and "an astoundingly bleak love story," but it also says it's brilliant. Set in a Nazi work camp that seems to be a stand-in for Auschwitz III/Monowitz-Buna, it's a tale told by three narrators. Golo Thomsen, the nephew of Nazi bigwig Martin Bormann, is the liaison for the Buna plant and the camp. Thomsen is in love with Hannah, the wife of our second narrator, Paul, the drunken camp commandant. Szmul, a Jewish inmate from Poland, is the third narrator. He is part of the corpse-disposal brigade, and is forced by Paul to help him devise his revenge on his betrayers. Given Amis's propensity for caustic wit, I am reminded of Jonathan Littell's The Kindly Ones, a novel featuring a completely soul-corroded Nazi officer protagonist. I thought of that book as a story of office politics in hell. I expect The Zone of Interest to similarly reflect the bizarrely cockeyed version of life that goes on during the absurdity of the Holocaust. Another writer who likes to dwell in the dark places is American James Ellroy. He is probably best known for his L.A. Quartet: The Black Dahlia, The Big Nowhere, L.A. Confidential and White Jazz. Ellroy's obsession with Los Angeles, and the LAPD in particular, hasn't lessened one little bit. Perfidia (Knopf, September 9) is the first volume in his second L.A. Quartet. 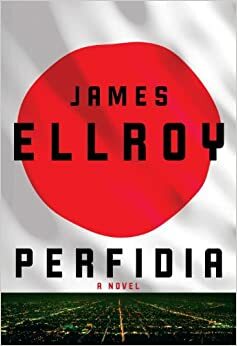 Perfidia begins very shortly before the Japanese attack on Pearl Harbor, but Los Angeles is already sick with war fever and is in attack mode on Japanese-Americans. The book features many of the same characters you may be familiar with from the first L.A. Quartet, but at an earlier point in their lives. The action begins with a nightmarish find in a quiet residential neighborhood: father, mother, daughter and son of a Japanese-American family have been slaughtered. Thanks to the publisher, I've had a chance to read an advance review copy of the book. If you know Ellroy, you know about his rat-a-tat hardboiled style, and the grim violence that permeates his version of Los Angeles. There is plenty more of the same here; maybe too much more. The nonstop violence and expressions of racial hatred and misogyny can just grind you down after awhile, and this is a very long book. Still, it's an impressive achievement and well worth reading if you're the right audience. Ken Follett has always been a guilty pleasure of mine, and all the more so with his Century Trilogy. I finally got around to reading the second installment, Winter of the World, this summer. It has the usual strengths: a powerful, propulsive storyline and a large cast of well-drawn and loosely-connected characters, all set in some of the most cataclysmic and challenging times of World War II and the years immediately before and after. And that last part is where the "guilty" in guilty pleasure especially comes in. It's a little embarrassing that Follett plops his characters down wherever something particularly sensational is going on. Really, you name it; the attack on Pearl Harbor, street fighting with fascists of various stripes, the London Blitz, escapes into Spain over the Pyrenees, the Nazis' infamous T-4 euthanasia program, the first self-sustaining nuclear reaction, the first A-bomb tests in the US and the USSR, the appalling rapes inflicted on Berlin women by the invading Red Army in 1945. Follett's characters are at all of those. At least he didn't go so far as to try to put one of his characters in a Nazi death camp (a concentration camp, on the other hand, yes). 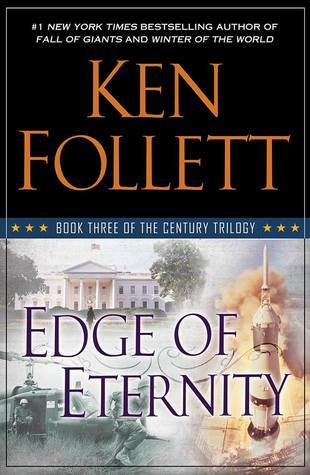 Still, I'm hooked on the characters, so I'll be ready to find out all about what happens to all of them, and their children, as he concludes his trilogy with The Edge of Eternity (Dutton Adult, September 16), a trip through the turbulent years of the Cold War and groundbreaking social and political change. When I read about the Cold War, I tend to focus mostly on the espionage operations, mole hunting, and all that John le Carré-style stuff. But there are other aspects, of course. This year, two prominent books have focused on the cultural Cold War: Ellen Feldman's The Unwitting and Peter Finn and Petra Couvée's The Zhivago Affair: The Kremlin, the CIA, and the Battle Over a Forbidden Book. 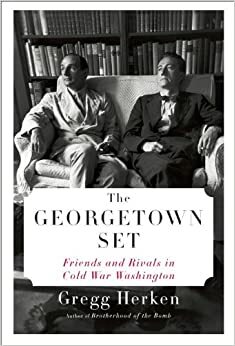 In The Georgetown Set: Friends and Rivals in Cold War Washington (Knopf, October 28), author Gregg Herken reminds us that there is another aspect of the Cold War: the policymakers and opinion-influencers among the Establishment. There were lots of people trying to put their mark on the country's political policy during the years of struggle between the ideologies of East and West. Herken focuses most prominently on five of them: Phil and Kay Graham, the married couple who published the country's preeminent journal of national politics, The Washington Post; prominent journalists/columnists Joe and Stewart Alsop; and Frank Wisner, the manic-depressive World War II veteran and Wall Street lawyer who headed a CIA anti-communist covert action division in the 1950s. The title of Herken's book alludes to the fact that so much policy was discussed––and sometimes even negotiated––at martini-fueled parties in Georgetown homes. The Cold War is over, but so are the days when politicians, journalists and government officials of all political stripes could set aside the political posturing and grandstanding for the public, at least for an evening of drinking and informal bargaining. I'm looking forward to reading about those old days. I've been waiting impatiently for a year, since the UK publication, for Jonathan Coe's Expo 58 (New Harvest, September 2). I first got to know Coe's work back almost 20 years ago, with his The Winshaw Legacy: or, What a Carve Up!, his deliriously entertaining mash-up of murder mystery and vicious satire of Thatcher-era Britain. Since then, I've always looked out for his books. Most have been more serious, but with Expo 58, it looks like he's headed back to a sillier territory. The 1958 World's Fair, a/k/a Expo 58, took place in Brussels, at the height of the Cold War. Graham Greene, in Our Man in Havana, proved that the Cold War could be made entertaining, and now Coe is attempting the same feat. Thomas Foley, a mild-mannered civil servant at Britain's Central Office of Information, and the son of a pub owner, is assigned the task of running the Britannia, the UK's authentic British pub that is its key attraction at the Expo. Placed conveniently close to the rival US and USSR pavilions, the Britannia soon becomes a hotbed of superpower shenanigans, and Foley's dull gray life in austerity Britain is suddenly transformed. 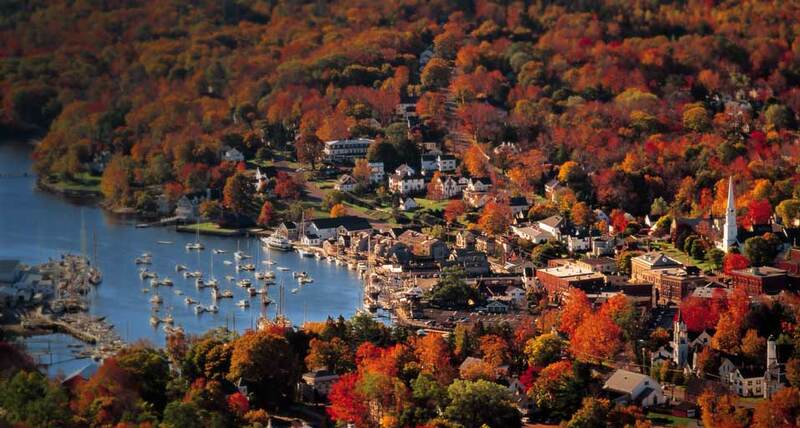 Next, our Maltese Condor will let us know what she's putting on her to-read list for when the leaves begin to fall.